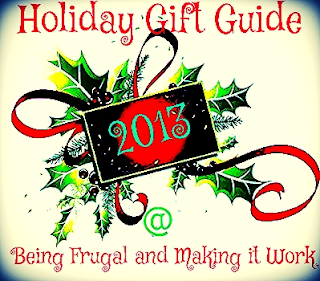 Being Frugal and Making It Work: Holiday Gift Guide: Check Out These Great Giveaways! Holiday Gift Guide: Check Out These Great Giveaways! As crazy as it may seem, Christmas is right around the corner! I'm one of those frugal shoppers that shops clearance sales and enters giveaways year-round for the best possible deals on gifts. Whenever a birthday, wedding, graduation, or Christmas rolls around - I go "shopping" in my gift room for the perfect gift! Smiley360 - Try Products for FREE!